Fronted by the charismatic Richie Pyrnne, CC Smugglers have worked their way up from young street performers to some of the biggest festivals and venues around the world, thanks to their engaging live performances and innovative self-promotion. 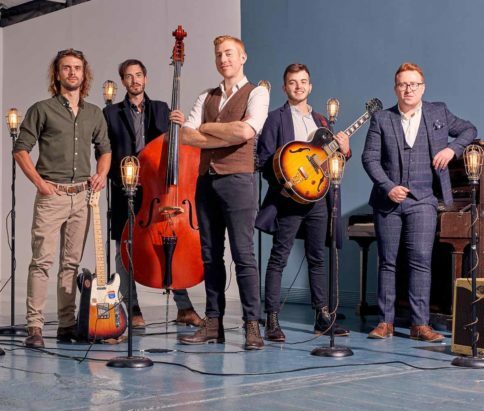 Unafraid to blend old-time, world and folk styles, their hugely engaging performances are built on excellent musicianship, great tunes and proper showmanship. They started out as “guerrilla buskers”, hijacking queues waiting to see other artists, or commandeering underground trains and escalators. They got their big break by playing outside every UK tour date of the two-time Grammy Award-winning Old Crow Medicine Show. Not even a severed artery on his finger could stop Richie – he delayed surgery to lead the six-piece on the audacious escapade. So impressed were the Old Crow Medicine Show with a “hugely engaging performance” (Sunday Times), they invited them to share their platform on the remaining dates. “The best live band on the scene at the moment.” Cerys Matthews, BBC6 Music.